“Your twenties are your selfish years”. You’ve probably seen that saying once or twice, hell you’ve probably pinned that quote to your “quotes” Pinterest Board (don’t be shy, we all have). And while I really don’t like the idea of anyone glamourizing being selfish, I whole heartedly agree that your 20s should be about YOU! Part of learning about who you are as a person is exploring the world around you. Whether that’s the nearest big city or a 15-hour flight away. When you travel, you learn things about yourself that you never knew before. Like the fact that you can deal with having your passport stolen in a foreign country or that you really can eat street food in Morocco and not get a belly ache (these are personal experiences, yours might be different lol). So really what I’m trying to say is GO!! Get out of your comfort zone, spend what little money you have on travel and ENJOY being young, single (maybe) and carefree! Here’s the 20 trips you NEED to take in your 20s. I like to think of London as the starting place for International travel. If you’ve literally NEVER stepped foot outside the US, this might be a good place to start. No language barrier (unless someone tries to use Cockney Rhyming Slang on you), easy to navigate and personally it’s one of my favorite cities in the world. I’m a little biased because I lived there. Visit the AMAZING markets (Borough is my favorite! ), hang out and have a pint with your pals and whatever you do DON’T forget to splurge on high tea somewhere (my vote is Sketch). THIS IS A MUST. Because (and no judgement if you’re in your 40s and still going on The Yacht Week) the window of time where it’s acceptable to slam shots and stay out ALL NIGHT is small and probably not something you want to do once you have kids. The Yacht Week is basically an entire week devoted to sailing to beautiful destinations (Croatia, Greece, Italy, The Caribbean and Montenegro), partying all night with your best friends alongside 40 other Yacht Week Crews. Basically it’s the best week of your life. 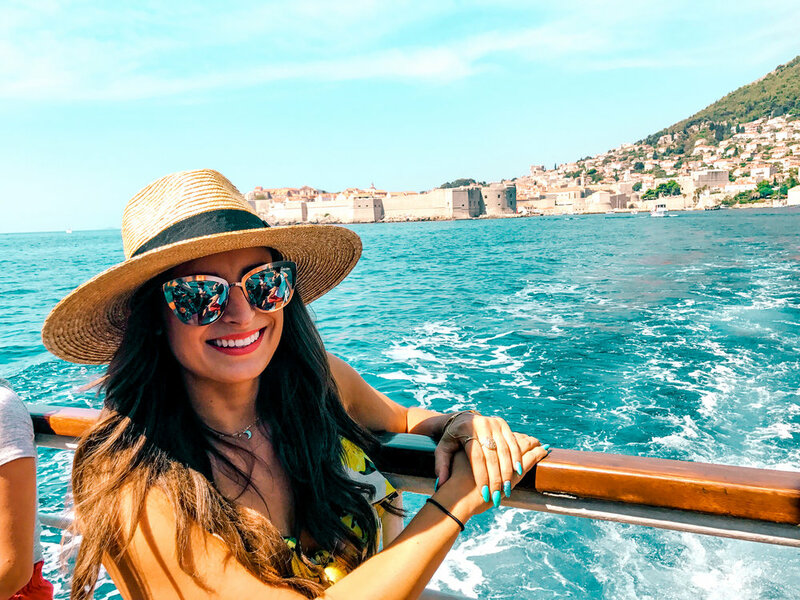 Check out my top 10 reasons you need to go on The Yacht Week & my Yacht Week Destination Guide! Spontaneity is the spice of life! That’s a saying right? Anyways, this is the time in your life to do things on the fly. If your friend invites you to go salsa dancing at 2 in the morning, you say yes. If your roommate asks if you want to come with her to visit her friends back home in Idaho, you say um sure? And when your college best friend invites you on her family’s trip to Italy (if only this happened to me), you say HELL TO THE YES. Call in sick for work (yep you heard me), use some money from your savings account (shhh don’t tell your parents) AND GO ON THE TRIP! It’s cliché but you’ve got to experience Amsterdam in your twenties. It’s a city unlike any other, with “sights” unlike any other (cough, cough, Red Light District). But the city truly is more than just a stoners fantasy come to life. Enjoy an afternoon cruise through the city’s famous canals. Or if you’re brave, rent a bike and see if you can maneuver the streets like the locals. And I mean…pop into a coffee shop or two. Whether you love EDM or chilled laid back tunes, there’s bound to be a music festival that suits your needs. I’m a little biased when it comes to which music festival is my favorite…(Coachella) but there’s TONS to choose from. It’s fun to dress up in outfits you wouldn’t dare wear in public anywhere else and bop around to songs you probably haven’t heard of before. Ohhh Barcelona. The food, the architecture, the people, did I mention the food? This city is full of culture and life. I’ll admit, every night of this trip I stayed out until 6 a.m. and woke up at 4 p.m. I wish I were joking…But the city offers so much more than just nightlife. From Park Guell to the architectural masterpiece that is The Sagrada Familia, this city is something every traveler should experience. You MUST see Morocco. This was the first country I visited where I really felt like I was in a foreign country. It’s busy, bustling souks, mixed with the various smells from different food carts had my head spinning. But isn’t that the point of traveling? To feel like you ain’t in Kansas anymore? Make sure to shop till you drop at the various markets, ride a camel through the desert, trek through the Atlas mountains and visit a Berber family for a traditional tea service. Listen…every basic $! *#H needs to take a fall road trip once in their life. Once September rolls around it’s all Pumpkin Spice this and Pumpkin flavored that. But you don’t really get the true taste of fall by drinking a sugary Starbucks drink. No, you get it when you smell the crisp air, hear the crunch of leaves under your boots and see the SPECTACULAR colors on the trees. Personally, I love a road trip out east. Anywhere in Vermont, Massachusetts (HELLOOO SALEM!!) or Upstate New York. So ladies grab your chunkiest sweater, your best fall hat and of course your camera because the Instagram potential is endless! Island hopping, partying on Mykonos, cliff jumping in Santorini, do I need to say more? The Greek islands are beyond beautiful and must be enjoyed! I’ve heard so many women say they don’t want to visit Greece until they’re on their honeymoon or in a relationship. Not to say that’s wrong, but I strongly suggest not waiting until you’re married or in a relationship to travel, well anywhere lol! 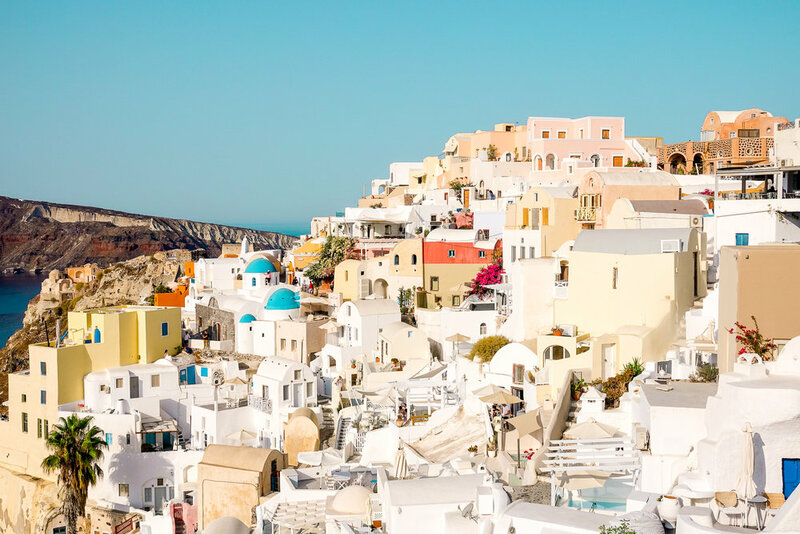 Check out my Santorini Destination Guide! Okay…before you scroll ahead to the next trip just hear me out. Solo travel is empowering, enlightening and frankly it forces you to make friends with people you might not talk to if you were with a group of your own friends. I’ve met WONDERFUL people when I’ve traveled solo. And of course it’s daunting at first and definitely intimidating. But once you make your first friend, it all gets a little less scary. Learn more about Dubrovnik, Croatia! If you can check Africa off your bucket list in your twenties, you're doing something right. I'd put this as a dream destination and admittedly a trip that won't be cheap. But Africa played an important role in my early travel experience and I hope others can experience something similar. It's no secret that Africa is a country of extremes. Extreme poverty in some places and extreme luxury in others. I believe that when you travel it is ESSENTIAL to see both. While I was blown away by the country's beauty, I was equally aware of the number of shanty towns we passed during our travels. I say this not to speak poorly about the country, quite the opposite. I bring this up because I feel that our generation NEEDS to be aware of our privilege. And maybe by seeing poverty with our own eyes, it might make us more compassionate. I experienced this type of travel when I lived in London for six months and I have to say there’s nothing quite like it. A backpacking trip through Europe is almost like a rite of passage for any traveler. And it makes sense why. It’s dirt cheap to fly between countries, there’s trains to just about anywhere in Europe and the options are endless when it comes to finding a hostel to sleep in. I like to look at India as the AP Travel Course lol. This country is fast paced, vibrant and full of life. But it can be intimidating if this is the first foreign country you’re traveling to, so I suggest having a few trips under your belt before embarking on this journey. That said, I think EVERY 20 something should add India to your travel plans. 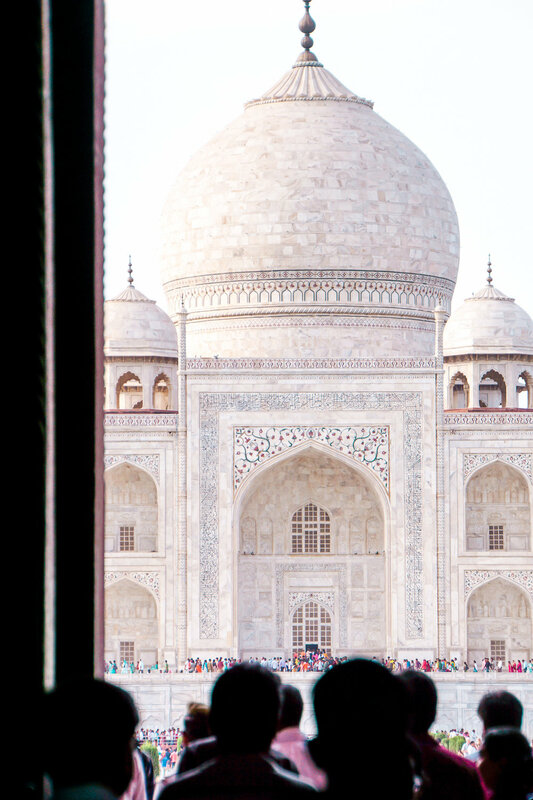 The history is so rich, the food is BEYOND amazing and HELLO the Taj Mahal… I mean you gotta lay eyes on one of the 7 wonders of the world before you’re 30. I was pleasantly surprised by this city. I really didn’t know what to expect when I visited and it quickly jumped to the top of my list. I mean where else can you sit in a giant football field sized thermal bath with a bunch of strangers in the afternoon? The city is FAMOUS for their hot thermal waters which play host to some pretty unique parties at night. They’re called Sparties (Spa – Parties). And basically you party in a huge hot tub into the wee hours of the night lol. Budapest is also known for its “ruin bars”. These were once derelict buildings that have been transformed into quirky watering holes throughout the city. VEGAS BABY!! This place holds a unique place in my heart. Every time I leave (hungover and exhausted) I say ‘I’m NEVER’ coming back. But something always pulls me back. Whether it’s the incredible restaurants, the twinkling lights or the mind blowing shows, I always find a reason to return. The shopping is sinful, the hotels are luxurious and if you play your cards right (see what I did there?) luck might be on your side and you’ll be going home with some cold hard CASH! It seems like just about every travel blogger is in Bali these days or your spontaneous friend from college decided to quit his job and bop around Cambodia for a few months. It’s not hard to understand why this part of the world draws the young crowd. It’s cheap, the locals are friendly and the landscape is OUT OF THIS WORLD. Bright lights, big city baby! If you live in the United States, you MUST visit our biggest city! From the shows, to the shops and all the yummy eateries in between, New York is an absolute must. The city runs off of adrenaline and if you’re young and looking to have a great time, you can’t beat the big apple. If you have the time, do the touristy things, but don’t leave the city without having a black and white and some thin crust pizza.